LIMITED OPPORTUNITY!! LISTED WELL BELOW COMPARABLES!! PHASE 1 OF PUBLIC PRICING® IS DONE!! PROPERTY IS NOW PRICED AT $895,000!! SIMILAR UNITS LISTED FOR $1.6MILLION!! FIRST CONTRACT AT $895,000 WINS THIS MAGNIFICENT MASTERPIECE!! Welcome to the Addison, a privileged lifestyle and resort style living. This 6th floor custom designed home offers sweeping ocean and city views. With 3,000 total square feet, this beautiful three bedroom is filled with the finest finishes with no detail overlooked. With new impact windows, the living room, dining room and granite custom bar overlook the Gold Coast beachfront. You’ll enjoy a completely remodeled chef’s paradise kitchen offering teak wood cabinets, granite countertops, Wolf appliances, and uniquely designed storage space. The master bedroom encompasses adjoining second bedroom as sitting room/office with his and hers bathrooms and outfitted closets. The Addison’s residents enjoy food and bar service poolside, oceanside with cabana service or in the Café. With unsurpassed amenities such as a professional on-site management, 24-hour security, concierge service, men’s & women’s spa and a NEW state-of –the-art fitness center, residents truly experience a Resort Style Atmosphere. 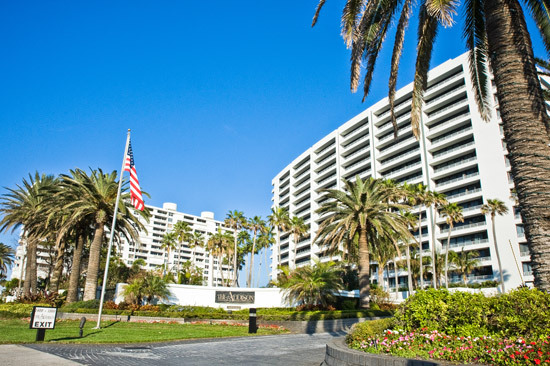 Residents of the Addison are invited to join the prestigious Boca Raton Resort and Club which is less than a mile away and enjoy golf, tennis, dining and so much more! The Addison’s convenient location provides residents to a wealth of shopping, dining, entertainment and recreational options. Beautiful beaches and Mizner Park are just minutes from your minutes from your door. The Addison is located between Ft. Lauderdale and Palm Beach International Airports, and only a short drive to the Boca Raton Private Executive Airport. -Head East on Glades Rd. to Federal Hwy. -Turn Right and Head South on Federal Hwy.